THE British government’s chaotic Brexit project comes before the Supreme Court in London this week. It follows Downing Street’s decision to appeal a High Court ruling which found that triggering the UK’s exit from the European Union (EU) must fall to parliament and not just to the Prime Minister Theresa May. It is thought that the Supreme Court is more likely to uphold the ruling and some of the key arguments are outlined by experts here and here. Wouldn't it be embarrassing if the government - which was tasked with securing UK 'independence' from the EU - had to be reminded again of the primacy of the UK parliament? If that happens, Theresa May might try to rush legislation through Westminster to avoid delaying her plan to begin the Brexit process by the end of March. But if other elements of the legal challenge are upheld, it could be much more significant. The Supreme Court will consider the arguments from a number of voices, including two challenges from Northern Ireland. A cross-community coalition made up of human rights groups and activists, plus representatives of Sinn Féin, the SDLP, the Alliance Party and the Green Party, launched one of the cases, as was first revealed by The Detail here. The group has three key lines of argument around Article 50, the legislative mechanism for leaving the EU. It wants the regional Assembly at Stormont to have a right to vote (and so potentially to block) the triggering of Article 50 (as does Scotland and Wales). It also argues that the Brexit process cannot begin without proper consideration and even legislation to protect the political architecture of the Good Friday Agreement which is the foundation stone of peace in Northern Ireland. And, thirdly, the group raises whether some of the questions arising around Article 50 should, as aspects of EU law, be referred to the European Court of Justice. If the case was pushed to Europe, it is estimated that the process could take between four and eight months, which would have dire implications for Theresa May’s timetable. An additional high profile challenge - based on the commitments in the Good Friday Agreement and launched by Raymond McCord whose son was murdered by paramilitaries in Northern Ireland - will also be considered in the Supreme Court hearings. The decisions of the Supreme Court will be closely watched, but so far the Northern Ireland elements have largely slipped below the radar in London, where other facets of the case have dominated reporting. Some observers believe this reflects a wider complacency over how Brexit might affect the delicate political settlement in Belfast. The Supreme Court will decide on the merits of the legal arguments from Northern Ireland, but are the fault-lines around Stormont featuring prominently enough in the broader debate? 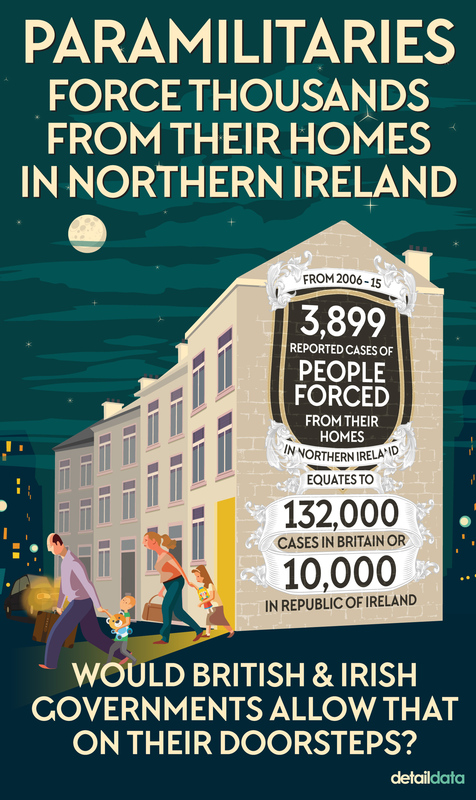 Earlier this year The Detail published a statistical breakdown of the scale of ongoing paramilitary violence in Northern Ireland and the magnitude of legacy issues left over from the Troubles. See the infographics here, here and here. The scale of ongoing demographic shifts and increased diversity is captured in infographics here and here. 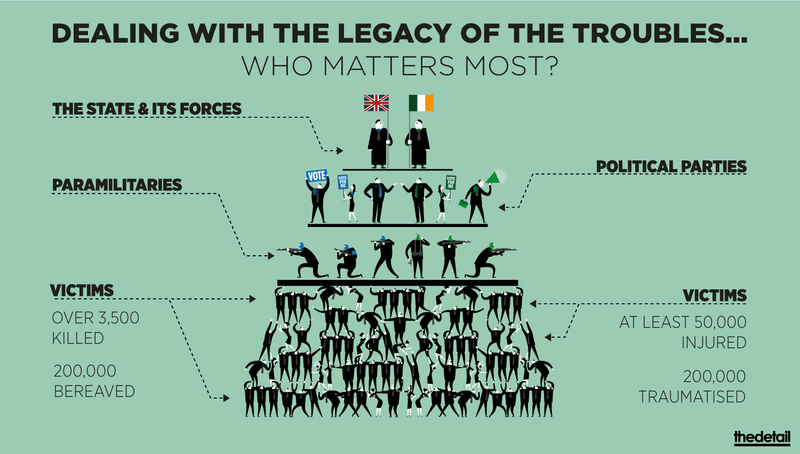 The data reflects how, 20 years into the peace process, there has been a political failure to prioritise reconciliation and the need for a shared future. But matters could be made even worse by the fact that the Stormont Executive of the DUP and Sinn Féin is now also split over Brexit. The Detail previously revealed here how warnings by Stormont civil servants over the likely economic impact of leaving the EU were not made public. Beyond the financial concerns for the future, the DUP and Sinn Féin are also closely monitoring how Brexit may affect their battle over Northern Ireland’s constitutional future. Meanwhile, Secretary of State James Brokenshire - who is supposed to be the political link between Belfast and London - is treading water over Brexit with his mantra that “we do not want to see a return to the borders of the past” on the island of Ireland. But sometimes things that you “do not want to see” can happen anyway and avoiding the “borders of the past” may not prevent the creation of new borders of the future. The British government's holding-line on Northern Ireland is meaningless, but it can't tread water forever. The Supreme Court hearings - whatever their outcome - will mark the beginning of the British government’s move from a period of news management into a process of real decision-making. 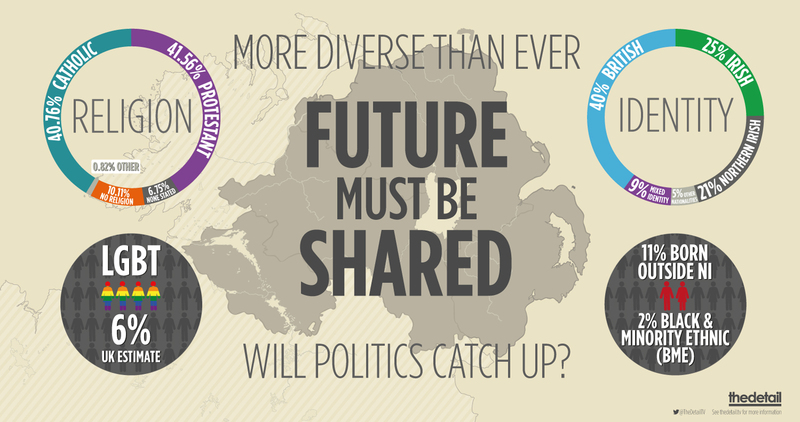 Will Northern Ireland’s simmering paramilitary violence, its failure to deal with the legacy of the Troubles, the fragility of its Assembly, its ongoing divisions over national identity and the implications of its demographic shifts, be in the mix?